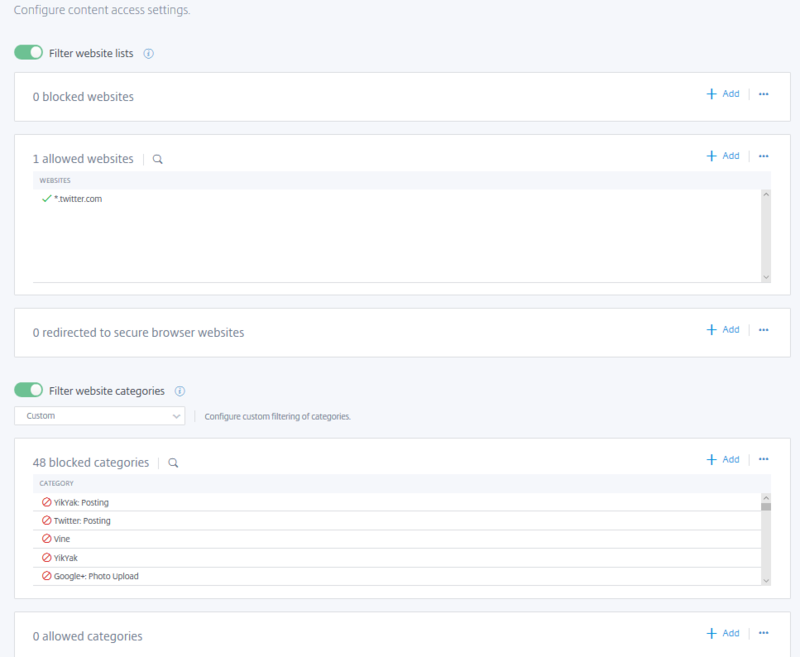 As we’ve seen with URL filtering, we can allow, deny or redirect specific websites or website categories (adult, malware, peer-to-peer, social media, news, etc). The deny portion is easy if we use the social media category, but simply denying the social media category will also deny access to Twitter. In order to do this, we need to better understand the URL analysis flow of Access Control. Access Control goes through this decision flow to determine if a request should be allowed, denied or redirected. Once Access Control gets a match, the analysis stops. You can’t block a URL related to Citrix cloud services, because you will most likely break your workspace. You can’t block a URL related to your SaaS apps, because you will most likely break the SaaS app.